Hertford College is a community of undergraduates, postgraduates, Fellows and staff located in the heart of Oxford, straight across the road from the Bodleian Library and within a few minutes' walk of all the other principal libraries and laboratories of the University. It is a place where you can develop your academic work amongst serious and interested students and tutors, where you will meet people from a whole range of different backgrounds, where you will still be able to be yourself while taking advantage of all the opportunities student life in Oxford has to offer. Hertford retains a relaxed atmosphere, but is strongly committed to the highest academic standards. We are proud of our recent achievement in the intercollegiate 'league tables' and are currently (2011) ranked fifth out of 30 colleges for undergraduate final examination performance. It is stressed that the paintings at Hertford College are not in public ownership. In accordance with the charitable aims of the College, which is a private institution, we are including our paintings on this website to widen public awareness and for the benefit of scholarship. 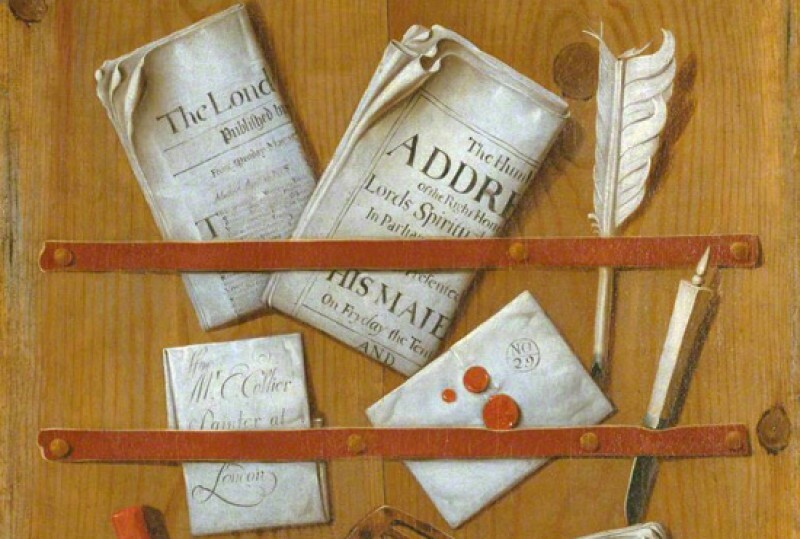 Those wishing to see paintings should contact either the archivist (from 1st October 2012) Dr Christopher Tyerman or the bursar, Mr Simon Lloyd, in writing or by email. Access can usually be arranged when the rooms in which the paintings hang are not in use.